Capture fish and invertebrates from a boat or dock. 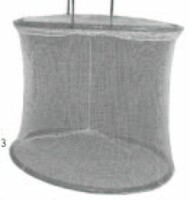 Cross galvanized wire frame support keeps net open. Place in water, add some attractant and when fish are over net just pull up. 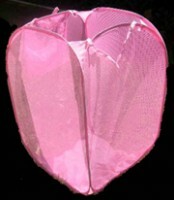 Net is made from 1/4 inch mesh black polyethylene netting. Hand line is not included. Ideal for sampling, catching or teaching purposes.